Cannabis sativa L. 1753 is a species of the genus Cannabis. It is a plant that belongs to the Cannabaceae family, once again becoming a protagonist in industrial production, with food purposes, for textile or building use, and for the production of paper. In it there are some drugs, but in varying percentages depending on the variety. Strong plant, erect, rough, inner bark made with very resistant fiber with thin leaves, opposite or alternate, divided into 5-11 linear-lanceolate segments. The fruit is a compressed achene. Monotypic genus, it is found throughout Quebec except in cold regions. Naturalized from Eurasia. 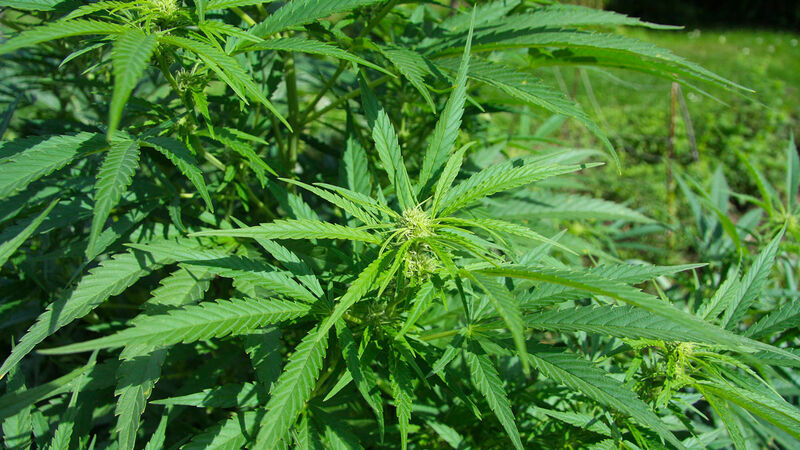 Cannabis sativa L. is grown in North America for several centuries and is a good example of a colonizing plant, because cannabis is very well adapted to the new conditions of crops. This plant is found near inhabited areas where soils are moist and rich in manure and located in open areas. In Europe, it’s also possible to find several spontaneous settlements of this plant in all the provinces, but also in wild forms along the St. Lawrence river and Great Lakes. Other names for Cannabis Sativa L.
Hemp, canadian weeds, marijuana, marihuana, canapa cultivé, Canapa indien, ganja. Chemical compounds in Cannabis sativa L. are part of the cannabinoids family. Notably, 5 compounds predominate in the plant: cannabidiol, cannabichromene, cannabigerol, Δ-9-tetrahydrocannabinol and cannabinol3. Hemp is grown for several commercial uses and chemical composition varies depending on type. The hemp grown for its resin contains Δ-9-tetrahydrocannabinol (THC) and acid Δ-9-tetrahydrocannabinolic (Δ-9-THCA) in higher concentration in its inflorescences. The hemp who is grown for its fibers (industrial hemp) is known to contain an high level of cannabidiol (CBD) and cannabidiolic acid4. The Δ- 9 -THCA is the compound known to be “the drug compound”, and is extracted from mature dry inflorescences of the plant. In Europe, legal productions of this plant are regulated by European laws. Cannabinoid compounds such as THC are used to do the quality control of the plant,8. Over 97 types of cannabinoid compounds have been identified in the scientific literature in Cannabis sativa L. The essential oil of Cannabis sativa L. buds contains monoterpenes (92%) and sesquiterpenes (7%) 9. Other less important compounds such as esters and ketones are present up to 1% in the essential oil. The two main mono terpenes found in this oil is the β-myrcene (67%) and limonene (16%) 9. Posted in Legal WeedTagged Cannabis sativa L.
Queen Mother Medical CannabisHow to recognize high quality CBD flowers. Complete guide.